Pending a few survey answers, a few Washingtonians may be some of the first to try out whatever Valve's developing behind closed doors. If you live in Seattle, WA, love Valve, and would like to playtest its stuff, then there's a job opportunity you may be interested in. 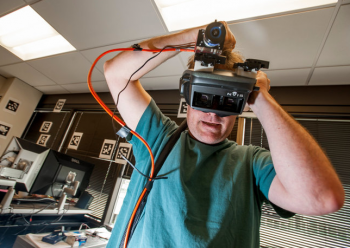 Valve seeks Seattle playtesters, and not just for its games; the lucky few will also get a first look at some of Valve's hardware. There's a survey form to fill out, if you're feeling keen. Each session should take about an hour, so this is probably something you could fit in even if you have a full-time job right now. Valve is only looking for Seattle testers at the moment, but encourages US-based gamers interested in testing to fill out the form anyway, as it may hold remote tests in the future.